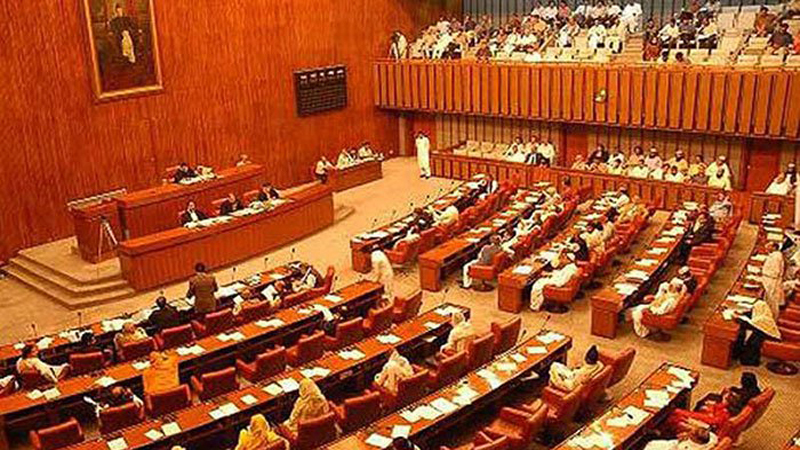 ISLAMABAD: The Senate’s Special Committee on Water Scarcity was Thursday informed that canals diversion were responsible for 50 percent irrigation water wastage in Pakistan. “About 90-95 percent of Pakistan’s water is being used in agriculture of which 50% is wasted. If appropriate measures by all stakeholders are not taken the crisis will deepen,” warned Ministry of Water Resources Secretary Shumail Ahmed Khawaja while briefing the committee’s meeting. Convened by Senator Moula Bux Chandio, the meeting was attended by senators Sassui Palijo, Dr Ghous Muhammad Khan Niazi, Brig (r) John Kenneth Williams, Muhammad Akram, Abdul Ghafoor Haideri, and senior officers of the Ministry of Water Resources, Indus River Systems Authority (IRSA) and the Pakistan Council of Research in Water Resources (PCRWR). “Water resources currently available are 138 million acre feet with a storage capacity of 13.7 million acre feet. Pakistan can store water for a maximum of 35 to 36 days, which is far less than the rest of the world that can hold water reserves for 130 days,” said Khawaja. Under the recently approved national water policy by the Council of Common Interests, he said, all provinces had agreed to a Water Charter according to which there would be no change in the policy until 2030 on account of the UN Sustainable Development Goals (SDGs). “The agreement on the construction of Mohmand and Bhasha dams were achieved as a result of the meeting,” he told the meeting. He went on to say that 33 percent of water should be conserved as per the national water policy. “But it seems impossible in the current context,” he said, adding that the National Water Council, which was tasked to achieve the goal, had failed to do so due to lack of coordination. Senator Azam Khan Swati stressed the need to strengthen officers working on the daunting challenge of water conservation. For any progress to be made it is imperative to create awareness among the public about the issue, he said. In her address, Senator Sassui Palijo called for equal distribution of water and implementation of the Water Apportionment Accord 1991 to address grievances of smaller provinces. While discussing proposed installation of desalination plants in the country, the PCRWR informed the committee that the idea could not be materialised when faced with acute the water shortage, besides its high cost. It was shared that investment cost for a large plant stood at $900-1200/m3 and $2,500/m3 for a small plant. Senator Kenneth John Williams was of the view that the option of installation of filtration plants on the coastal belt must also be explored.